Roller Shutter Doors New York City: What Do You Need In Your Store? After years and years of dreaming, you’ve decided to start your own retail store. We’re ecstatic that you’re following your dreams of opening your own retail store. It’s always such a treat to be able to finally see your dreams come to fruition. Whether that means you’ve decided to open your own sports apparel store or a fashion boutique, we can help you with some items you’ll need to have a secure and enchanting store. As a roller shutter door company, we encourage you to take every precaution with security. Living in New York City, it’s never too late to have security or protective roller shutter doors installed to keep the elements of the weather from damaging your store. If you’re interested in purchasing secure measures for your store, then take the time to contact United Steel Products. 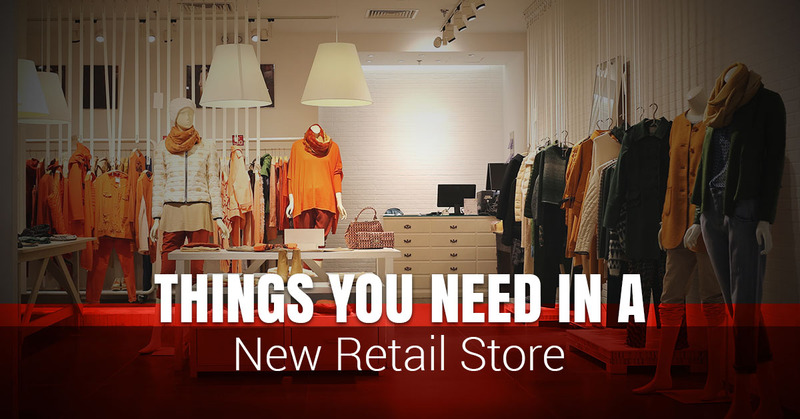 To help you know what you need for your new retail store, we’ve compiled four necessary items that will keep your store safe from outside forces. For further information about preventing break ins, read Prevent Holiday Break Ins This Season. While this blog is specifically geared toward the holiday season, it’s vital to know these facts as you get ready to launch your brand new retail store. Each of these items will be what will make your experience with your brand new store easy to maintain and safe for those who work there and the customers. Roller shutter doors are our specialty at United Steel Products. We offer an array of different products that are perfect for stores all the way to warehouses. Before you decide to purchase the first roller shutter door that you see, take the time to explore the many options that might be best for your facility. For example, some might have no holes whereas others may not. We offer roller shutter door, rolling door, rolling grilles, fire door, side folding door, overhead garage door, and high speed doors at United Steel Products. To ensure that you are choosing the right security measure for your facility, take the time to talk to an expert at our business. In addition to roller shutter doors, you’ll want to have shelves to create a display of your products. Displaying your products in an aesthetically pleasing way will make them look much better and sell much quicker. Having shelves in your store make it much more organized, efficient for shoppers, and easier to take inventory. Shelves are a pretty common choice, but they are great for displaying whatever you want to sell. Make it easier on the customer by putting up shelves to show off your products. Like roller shutter doors, technology is vital to have in your store. Technology will make it easier on the customers to purchase items and on you for keeping your facility safe. Technology in your store can include cash registers, credit card machines, and security cameras. With the technology industry growing so quickly, it’s vital that you keep up to date on the information, so running your store can be efficient and easy on you. Technology is supposed to make your life easier, so take advantage of everything that you have access to as a store owner. As we touched on above, it’s important that you have a roller shutter door to keep your facility safe. A security system is just as important because you can keep track of what’s going on in your store. While you’d probably like to give people the benefit of the doubt, it’s important that you take extra precautions to prevent any income loss. Each of your products is important to you, so implement the proper security measures to keep them protected. Owning a business is your livelihood, so it’s vital that you take all of the precautions that you can to make sure that nothing happens in your store. A security system will help protect you from theft and protect your employees from any unsavory situations. Are you ready to get started on owning your own store? Take the time to meet with United Steel Products to get the proper security in place for your brand new store. We look forward to helping you achieve your dreams!